Bring together a theme of beauty and style in a room of your home with this stunning mirrored console table. 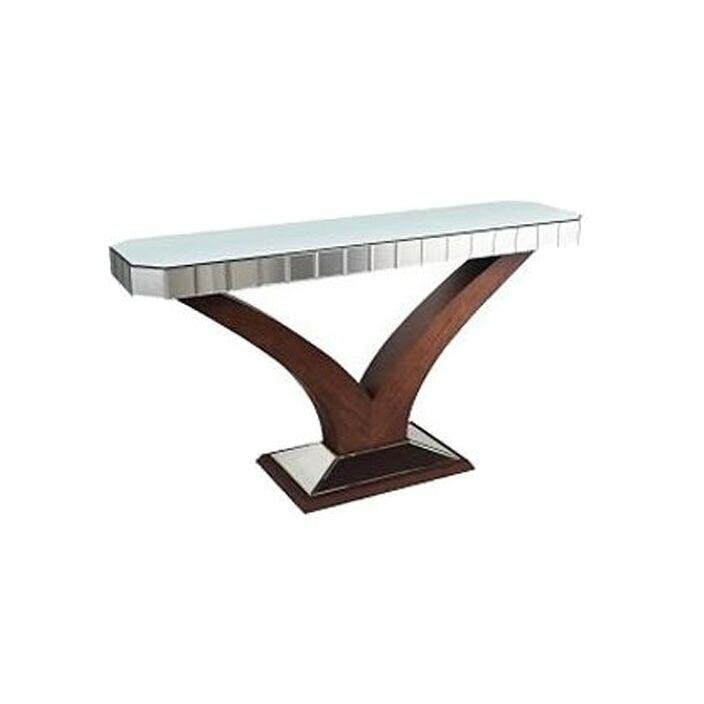 Featuring a dark walnut base with a mirrored glass top, this handcrafted console table will brighten up any room in your home. Fantastic for creating the impression of extra space and matching alongside our other mirrored furniture pieces, this console table is sure to become an instant favourite.